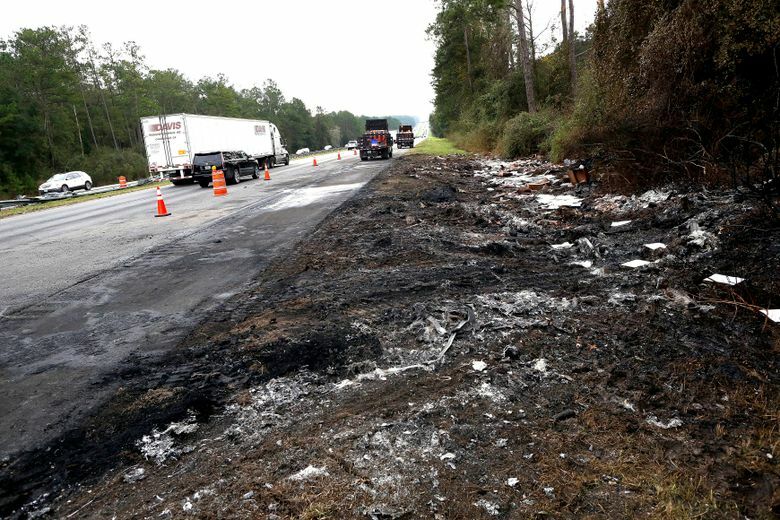 Five children, ranging from about 8 to teenagers - from a Pentecostal church in Marksville, Louisiana - and the two truck drivers died. At least eight others were injured, some seriously. 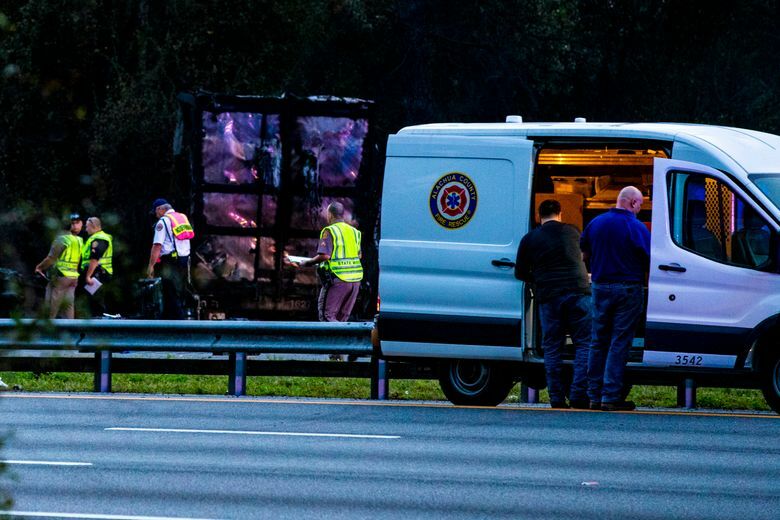 FORT LAUDERDALE, Fla. (AP) — A church van packed with children was headed to Walt Disney World when it got caught in a fiery pileup involving two 18-wheelers. Seven people, including five of the youngsters, died in the crash. 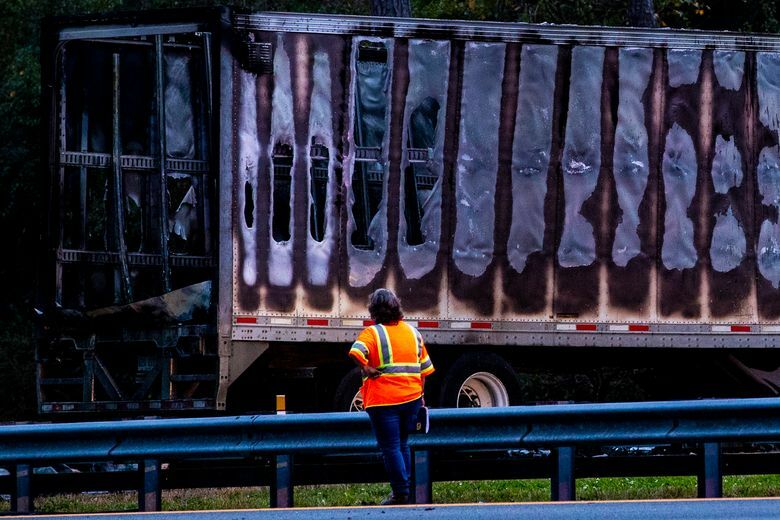 Two vehicles traveling north — a tractor-trailer and a car — smashed into each other and then burst through a metal guardrail, slamming into another semitrailer and the southbound van carrying the children. 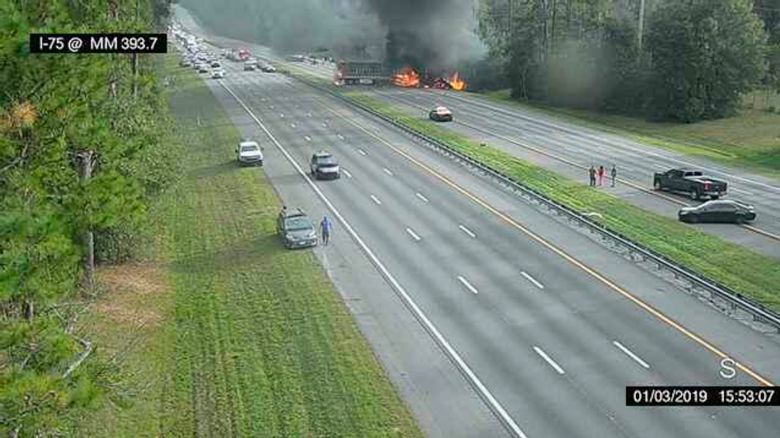 Diesel fuel leaked, and the mass erupted into a fireball, the Florida Highway Patrol said. 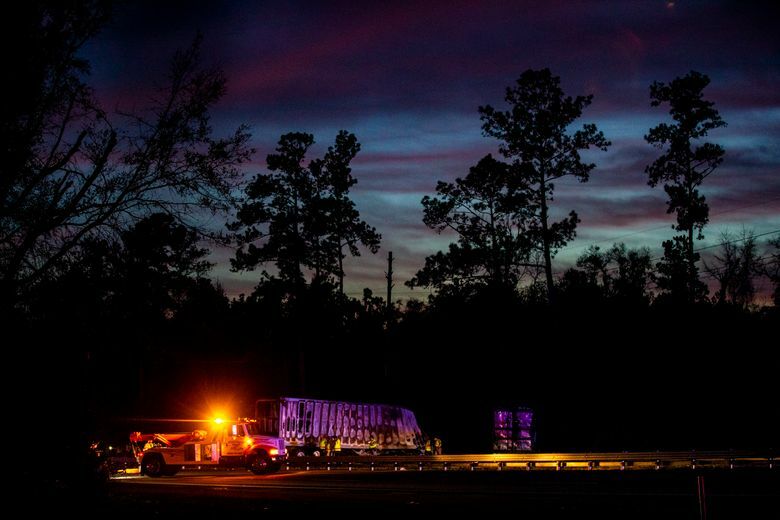 In a statement posted on the United Pentecostal Church International’s Facebook page, Louisiana district superintendent Kevin Cox said a pregnant woman injured in the crash and her unborn child had been stabilized. 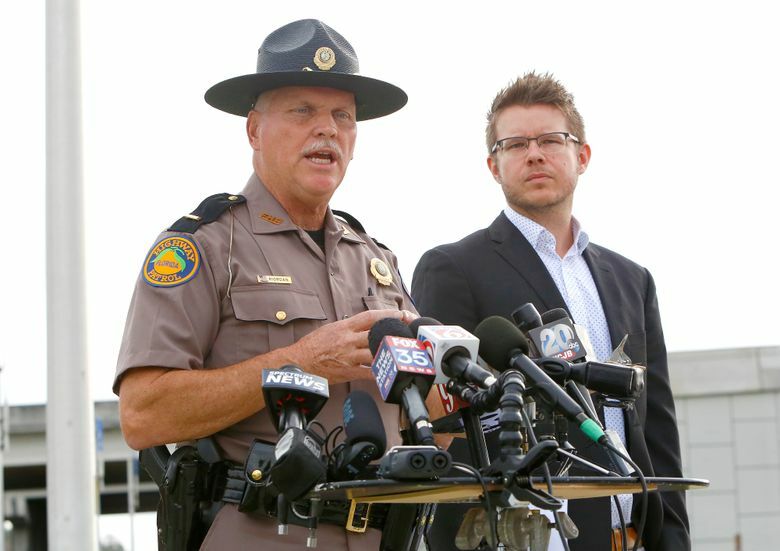 Cox also said church pastor Eric Descant’s 50-year-old wife, Karen, was critically injured and his granddaughter was among the children killed. 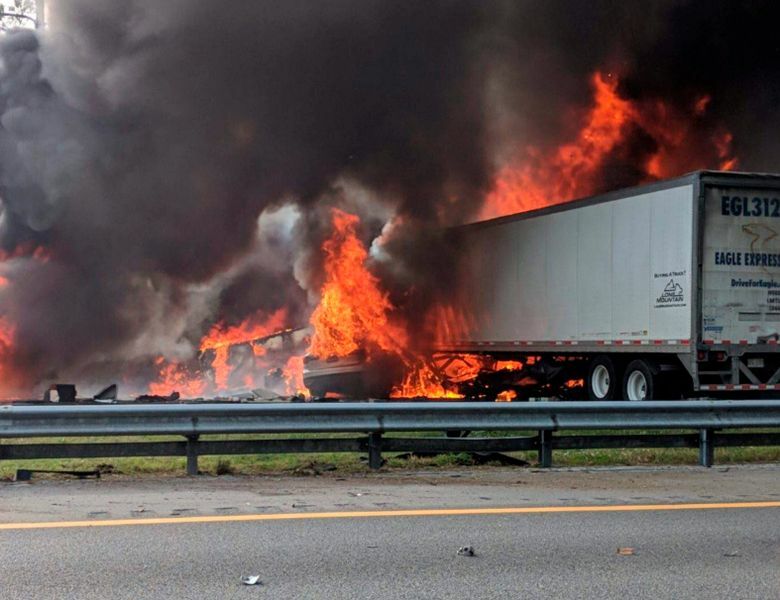 The highway patrol says a truck driven by Steve Holland, 59, of West Palm Beach, was traveling north in the far-right lane when his truck suddenly veered left and collided with a car driven by Robyn Rattray, 41, of Gainesville. Both the truck and car went out of control and through the center divider, where Holland’s truck plowed into the church van, driven by Amy Joffiron, 49, causing it to flip several times and eject some of the nine children on board. The highway patrol said it is unknown if any were wearing seatbelts. Holland’s truck then struck a truck driven by Douglas Bolkema, 49, of Albuquerque, New Mexico, who was also traveling south. Both trucks and Rattray’s car caught fire, and a fifth vehicle hit at least one of the ejected van passengers. 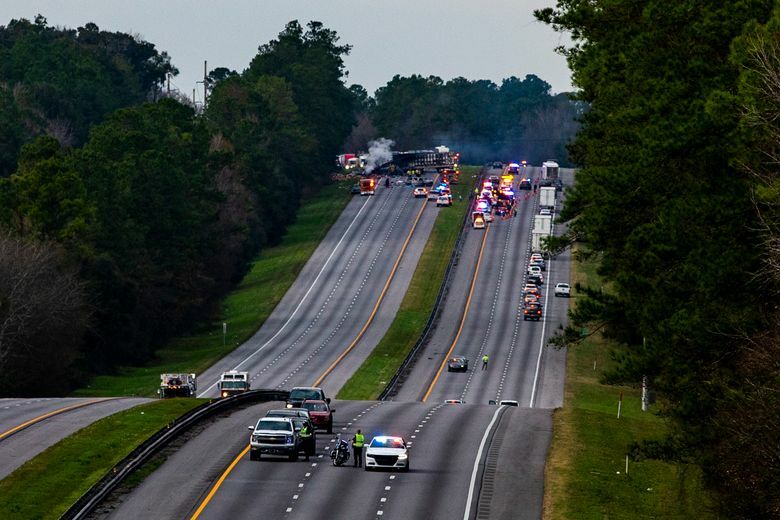 It was the worst accident on I-75 in Alachua County since January 2012, when 11 people died in a chain-reaction crash attributed to heavy fog and smoke on the road. Officials were criticized for not closing the road because of the conditions. 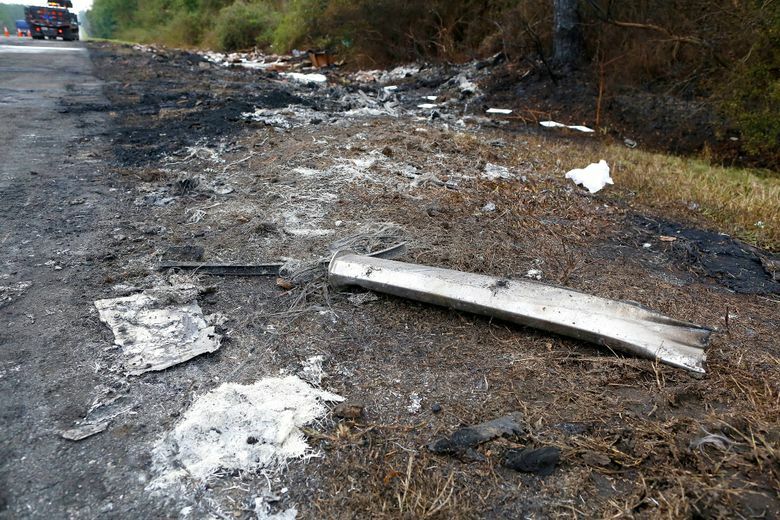 They later installed cameras, sensors and large electronic signs to help prevent similar crashes. Frisaro contributed from Miami. 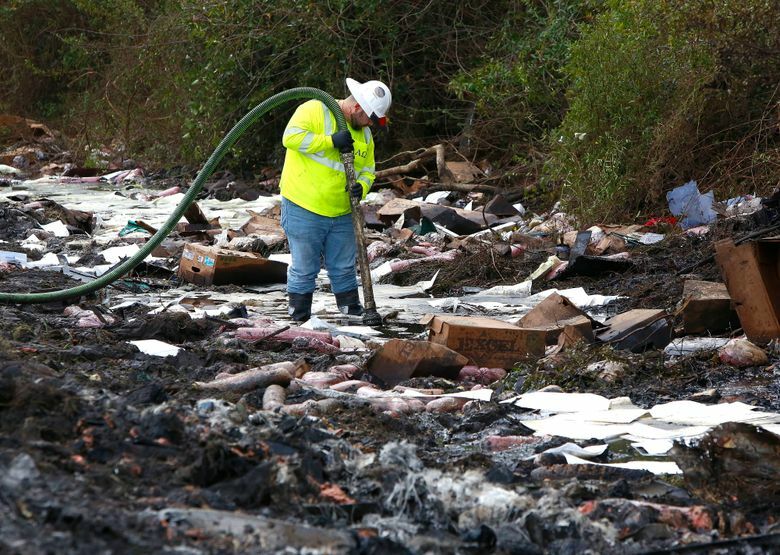 Kelli Kennedy in Fort Lauderdale also contributed to this report. This story has been corrected to show that the injured pregnant woman did not give birth to the baby, as previously indicated in a statement from Cox.